Hearty Franconian beers in a variety of different styles. Some of the beers are better than others to my taste, but they all have a rich flavour. Very inviting place. The beer was very good and the locals were most friendly with a couple going out of their way to talk to us. I will be back. the beer and food was good and the service was excellent. Dark beer and lager: Despite being unfiltrated both are as bitter as hell. Absolutely hop overpowered. 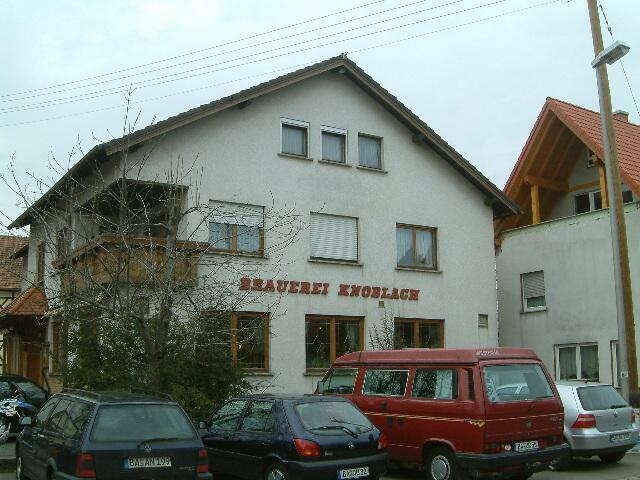 One of my favourite breweries in Franconia. I stayed one year in a holiday house in Litzendorf. I found that it is actually quite easy to walk to Brauerei Knoblach.There are three buses from Bamberg that stop in Litzendorf: 970, 972 and 975. You need to get off the bus at the street "Am Knock" in Litzendorf. Start walking on Am Knock up the hill (actually it's quite easy walking as the hill is not at all steep). Near the top of the hill, the street becomes Litzendorfer Str. Continue walking to the fork in the road and you should see the Brauerei on the right side within a few minutes. I did this walk several times and it was pleasant and not at all strenuous.